Diabetes - Is It Causing Your Sleep Problems? Adequate sleep and quality sleep are critically important for good health. You can be eating healthy food and exercising regularly, but if you don’t sleep well you are at high risk of developing health problems. For diabetics, good sleep is even more important. If you do not sleep well, your blood sugar tends to rise. Lack of sleep is known to worsen insulin resistance. That means it causes insulin to be less effective in your body. If insulin doesn’t work as well, it has poor control over your blood sugar, and it is likely to rise. Unfortunately, having diabetes can create its own set of sleeping troubles. 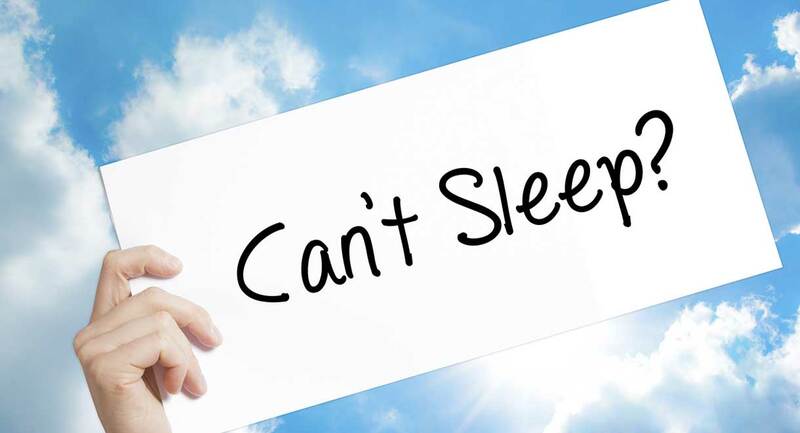 For various reasons, diabetics are often more prone to insomnia. Sometimes sleeping problems are what prompts an undiagnosed diabetic to visit their GP in the first place. A blood test for glucose then leads to a diagnosis of diabetes. This is one of the most prevalent problems in type 2 diabetics who are overweight. Sleep apnea is an extremely common cause of waking up feeling unrefreshed, and being tired all day. It is quite a common cause of motor vehicle accidents as people may fall asleep at the wheel. People who get sleep apnea are more likely to carry excess weight on their upper body – torso and neck area. When adipose tissue (fat) encroaches the upper respiratory tract and throat, it impedes the flow of air, particularly when a person is laying down. Sleep apnea is also more common in people who drink alcohol (particularly in the evening) and people with a blocked nose or sinuses. Sleep apnea significantly raises the risk of high blood pressure and dementia. If you are overweight and suffering with significant fatigue, please ask your doctor for a sleep study. Weight loss can eliminate sleep apnea entirely. Limiting alcohol is also very effective. Foods that increase mucus congestion such as dairy products, wheat and sugar should be eliminated to facilitate easier breathing. This is known as hypoglycaemia. If it occurs throughout the night it can cause significant sleep disruption. If your brain senses that your blood sugar is too low, your body releases the stress hormone adrenalin in order to rouse you from your sleep. Common symptoms of low blood sugar are feeling sweaty, hungry, dizzy and light-headed. Some people get up and have something to eat, while others feel too tired, and stay in bed and end up waking again later. The significant sleep disruption can make you feel tired and groggy in the mornings and predisposes you to fluctuating blood sugar throughout the day. This can then lead to sugar cravings, which just creates a vicious cycle. Many diabetics feel best if they eat a snack before bed. The trick is to make sure the snack is small and doesn’t contain too much carbohydrate. Suitable examples include a boiled egg and half an apple; a handful of walnuts or almonds; or a celery stick with almond butter. 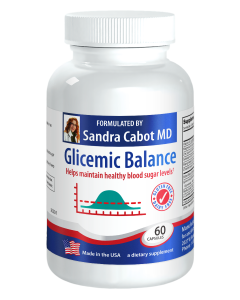 Glicemic Balance capsules contain herbs and nutrients that help to stabilize blood sugar. They help to reduce the risk of experiencing hypoglycaemia. Sometimes high blood sugar causes more trouble. Elevated blood sugar over a period of time can cause damage to the nerves. Nerve damage in the feet and legs can cause sensations such as burning, tingling or pain. Nerves that affect the digestive system, bladder and cardiovascular system can also be affected. This can cause symptoms such as frequent need to empty the bladder at night, or waking up feeling hot and sweaty. Many type 2 diabetics have got a fatty liver. People with a fatty liver tend to over heat at night. A lot of women blame menopause, when really their liver is responsible. 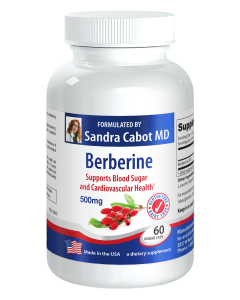 Berberine is a powerful, natural plant extract that helps to lower elevated blood sugar. Some research has shown it to be as effective as prescription tablets for diabetes. The liver tonic Livatone Plus helps to improve liver health and can even help reverse a fatty liver. This is a condition that can occur for a number of reasons, but it tends to be more common in diabetics. Restless legs syndrome basically means twitching, throbbing, cramping, jerking type sensations in the legs at night, waking the sufferer or preventing them from being able to get to sleep in the first place. There may also be cramping and a general sensation of restlessness or tightness in the legs. These unpleasant feelings may be reduced by shaking or stretching the legs or getting up and walking. 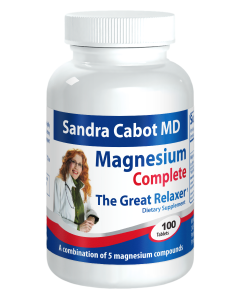 Magnesium is extremely helpful, and diabetics tend to be deficient because they often lose more in their urine. In fact, even if you don’t suffer with this condition, magnesium helps improve sleep quality in everybody because it relaxes the nerves and muscles of the body. Sometimes being low in iron can trigger restless legs syndrome; this can be determined through a blood test. Inflammation of the intestines can also be a cause, and this explains why restless legs syndrome is more common in those with celiac disease, irritable bowel syndrome and small intestinal bacterial overgrowth. For more information on managing or reversing type 2 diabetes, see our book Diabetes Type 2: You Can Reverse It Naturally.